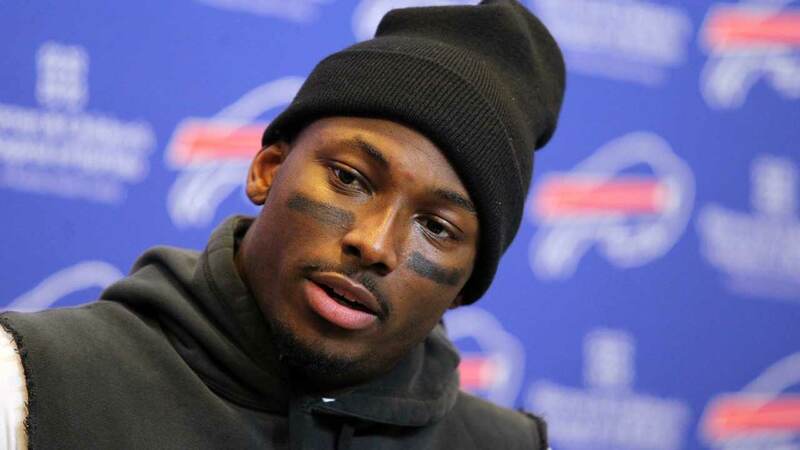 PHILADELPHIA -- Buffalo Bills running back LeSean McCoy is under investigation over the alleged assault of two off-duty police officers at a Philadelphia nightclub. The fight broke out early Sunday after an argument over a bottle of champagne, police said in a report released Monday. One 40-year-old officer was knocked to the ground, where he was punched, kicked and stomped multiple times on his body and head, police said. A second off-duty officer, also 40, intervened with security guards. All were ejected from the club. One officer had a broken nose, broken ribs and a sprained thumb, police said, and the second was hospitalized with a possible skull fracture. A person familiar with the investigation confirmed to The Associated Press that McCoy is one of the four men under investigation. He spoke on condition of anonymity because he was not authorized to publicly discuss the case. McCoy's agent, Drew Rosenhaus, didn't immediately return a message seeking comment Monday. McCoy played for the Bills last season after being traded from the Philadelphia Eagles, where he played for six seasons. The Bills released a statement saying they are aware of the report and are gathering information. According to police incident reports obtained by The Philadelphia Inquirer and WKYW-TV, McCoy and the others were at the Recess Lounge in Philadelphia's Old City neighborhood when the fight broke out. The officers had purchased four bottles of champagne, according to the report. A man in McCoy's party tried to claim one bottle as his own and a shoving match ensued, leading to the fight, the incident report said.